About two and a half years ago, I lived a pretty chaotic life. I quit my career to stay home with my kids, was running a home day care for 50 hours a week, and we were just finishing paying off over $30,000 in debt. My husband traveled all the time for work and I mostly felt like a single parent. The word luxury wasn’t in our vocabulary. We were on a super tight budget. We didn’t eat out, we didn’t buy anything that wasn't absolutely necessary, and when we did, we bought it from the thrift store, we didn't even have paper towels in the house (much to the horror of our well meaning friends). While we were happy, we were also exhausted. I started a blog on a whim in 2014. 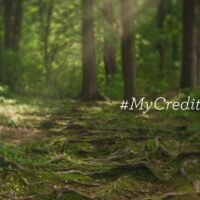 I wanted to teach people how we paid off most of our debt, and how we overcame our severe disorganization to make saving money and living on one income possible. My first month, I worked 10 hours a week and made a whopping $18. Which basically equates to about 45 cents per hour. I was totally thrilled with that $18. I even called my mom weekly with income updates! However, I didn’t give up, and 27 months later I’m making $86,000 a month from blogging. Which is insane. INSANE. So, let’s talk about how I did it. What were the steps that led me from $18/month in blog income to over $86,000 a month? Want to learn how to start a blog? You can get step by step instructions here. There are actually four distinct steps. The absolute best decision that I ever made in my journey to full time blogging was an investment in a class called Elite Blog Academy. The problem in blogging is that some people do it for YEARS and don’t make money doing it. It’s like busy work. They put in their hours, but they’re not doing the right work. So, they’re just spinning their wheels and not getting anywhere. I started the blog at the same time I started Elite Blog Academy. I took the class very seriously and I completed every single action step before moving on. It took me 9 months to complete the course. But, by the end of it, I was making full time income. Then it quickly grew from there. Elite Blog Academy was really key to me earning full time income from blogging. In fact, I explained EXACTLY what EBA did for me in this video. Because it wasn’t overwhelming, I really succeeded in Elite Blog Academy. I didn't have to understand how to earn full time income from blogging as a whole, I just had to complete the next step in the class. 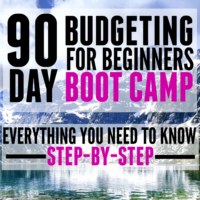 When I started the class, I had no idea how bloggers made money. Halfway through the class, I had no idea how bloggers made money. 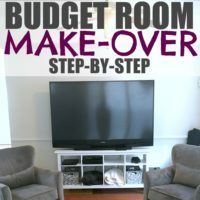 At the end, I not only understood how bloggers made money but I had all of the things I needed to succeed. I had a platform, I had pageviews, I had an email list, and I had built up trust with my audience. The problem is that you need to have almost perfect timing (and be willing to invest- it’s not cheap) to get into Elite Blog Academy. It’s only open to enrollment for 5 days out of the year. Your best bet is to join the waiting list here. Blogging is kind of a weird business. There are a TON of benefits. You can start for very little initial investment (about $3.49/month to start a blog and get your website up). You can do it on your own time so it’s an easy second job. Most people blog as hobby never even realizing that you can make serious money from it, so it’s way to make a living from something you would likely do for free. Side note: I don’t mean that growing a blog into a business isn’t hard, it is! It was a long first year! But I do mean that in comparison to my 9 year career in law enforcement or my three years running a home daycare, blogging is ridiculously easy and fun. The trade-off is that it’s going to take time to make money from this. It’s not something you can start this Friday and be pulling in cash at the end of the month. Here’s a graphic that shows my income to give you an example. Keep in mind I started in September of 2014, so from then until the chart starts, I made pretty much nothing. It’s a risk, don’t get me wrong. You can start a blog and find out that you just aren't great at it and not grow into full-time income. But, you risk very little money and all you risk is time. With a traditional business, you usually need a pretty significant capital investment (read:$$$) in order to make the kind of money I make from blogging, and even then you need to wait several years to pay off loans before your profitable. The key to my success in blogging was that I committed to one year. No matter what, I would be blogging for 10 hours a week for one year. When I had the flu, I blogged all weekend to make up those hours missed; when we had our daughter, I blogged in the recovery room. (No joke!). While 10 hours a week seems like a pretty simple thing, in reality people struggle with going to the gym 3 times a week or logging their calories eaten (Which takes, what? 10 minutes?) so as simple as it looked on paper, it was actually pretty difficult to do. This in one of the biggest reasons that blogs fail. They “fall off the wagon” before they ever see any income. There were SO MANY times I wanted to quit during those “45 cent per hour” months. If I had, I would never had made it to full time income from blogging and I certainly wouldn’t have made this high amount of income. Having an end date helped me push through those hard months. Being able to say “It’s just for this year, then I’ll stop” gave me an exit strategy that helped me push through. By the time the year was over, I was full time and it was a lot easier. ROI means the return on your investment. To me, in its’ most basic form, it means that I always try to do more of what makes me money, and less of what doesn’t and I track that weekly and monthly. 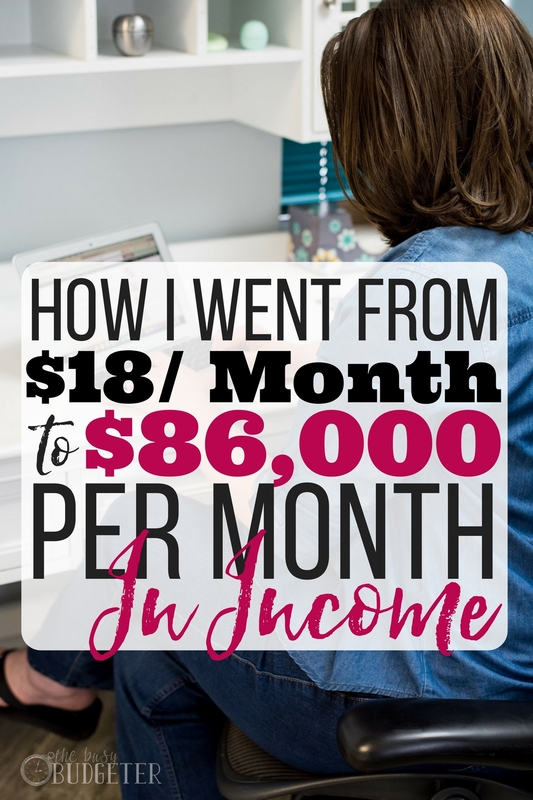 Every week I add up the income earned from each of the income sources for the blog, and compare it to my goal for the month. This gives me an opportunity to get a feel for what the results are of the things I change and to get really familiar with what makes money and what doesn't. When an opportunity comes up, I try to figure out the potential ROI before I make a decision. And each week, I look at the tasks that I completed for the week and figured out which tasks made the biggest difference to income, and which tasks were things that were wasted time. Side note: While focusing on ROI is super important, I should point out that building a trust with your audience (and maintaining it) is the foundation of a profitable blog. So everything you do should be serving your audience. I quickly figured out that I had a lot of weaknesses in the blogging world. I am absolutely awful with technology, I can’t type (Seriously… I hunt and peck and it takes forever for me to edit.) I’m fairly bad with grammar and spelling. The list goes on. I calculate my hourly rate (the profit for the month divided by the hours I work) and then anything I can get someone else to do faster, cheaper, or better… I outsource. It’s been an insane two and a half years. At this point, my life looks so different from what it did then. It’s still busy, but it’s good busy, the kind of busy you have when you love what you do. I work between 20 and 30 hours a week from home, and I totally went to Great Wolf Lodge last weekend on a whim because we could AND we have a super fancy trash can. (Okay, not exactly impressive… but we’re still pretty frugal; old habits die hard). I guess I’m saying all of this to emphasize: If you’ve ever thought about it, if you’ve ever heard of blogging and wondered if you’d love it. Then try it. Even if you can’t invest in Elite Blog Academy. Grab the free blog training and just try! You have no idea what you’re capable of. I certainly didn’t. But the only thing I couldn’t stand the idea of is living with regret and not trying. WOOHOO GIRL! You are rocking it! I love reading your income reports, they are so inspirational! This is just the motivation I needed. 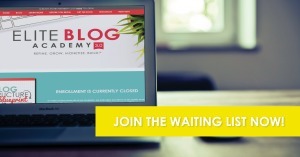 I really wanted to take Elite Blog Academy but could not afford it. I’m so glad this free class is coming up. My husband and I are trying to have a baby and I don’t want to go back to my traditional job. There are so many resources out there and it can get overwhelming which causes frustration. I’m hoping this class will help me get more organized and goal oriented. Congrats for this huge achievement! You have seriously skyrocketed your income in an appreciating manner! I just loved your “return on your investment” concept. Thanks for sharing your strategies! So what exactly makes your blog so much money? The advertising? That’s exactly what I was wondering! I even went back, thinking I’d missed income part. Affiliates sales? If so, which ones? Own product? Ads? And even tho $86k sounds great, did it take 5k to make that? Or 75k? Thanks for the feedback! 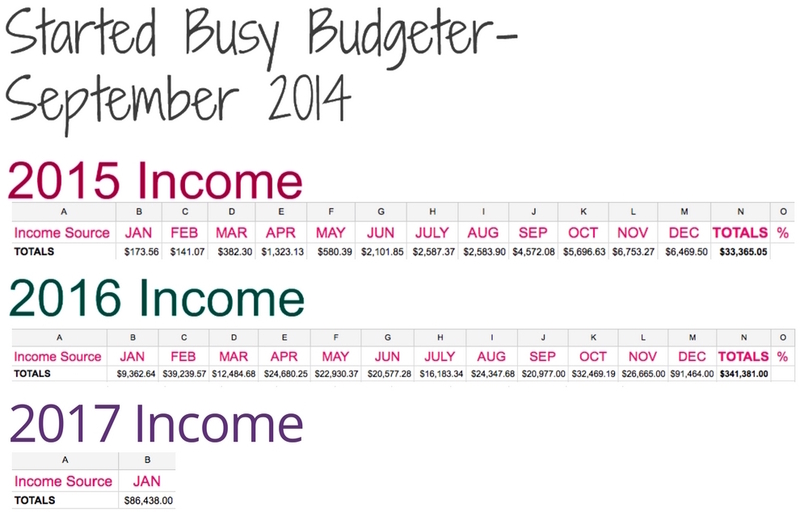 I linked to information on how I make money on the blog here: https://www.busybudgeter.com/how-do-bloggers-make-money/ I release income reports every month to explain where the money comes from specifically, and expenses this month were about $20k, but most of that is outsourcing to grow. My expenses at this level are completely different than a newer blogger though. I have a full time employee and 5 contractors. Okay so I am having my second baby in the next month but I don’t think my computer will be there will me – too funny!! That is real commitment! But seriously, you have been such an inspiration to me – can’t believe how far you have come in a year! Congratulations!! This is so inspiring! I come back to your posts again and again for motivation to persevere. Thanks for sharing your story and income reports. Natalie @ NatalieBacon.com recently posted…Should You Focus on Making More or Spending Less? Always! 🙂 I’m SUPER BEHIND right now. I need to do December (92k) and January ($86k). Rosemarie, this is awesome!! I’m taking EBA 3.0 this month, and I’m super excited. I recently quit my job (don’t worry, I was side hustling long before and know I can pay my bills! :)) because I want to take my blog to the next level. Your tenacity is inspiring! You are my hero, way to go! I’m so excited to see this! I just signed up for EBA 3.0 and I can’t wait to get started! Wow! Your income has raised exponentially from 2015 to 2017. 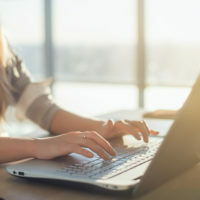 I’ve heard of the Elite Blog Academy course from different mommy bloggers that I am connected with. I think it should be worth getting enrolled to this course, especially for stay at home mom bloggers who want to get some good returns with their efforts. Thanks for sharing it with us. That is quite inspirational. I’m new to your blog and have enjoyed poking around; I’ll definitely be back! WOW, that spreadsheet is amazing! I have been blogging for almost ten years, but I just signed up for EBA at the end of December on your recommendation. I am not making anywhere close to what you are each month, and I want to change that! So encouraging! Way to go! Great article! I hear what you say about getting discouraged the first year. I’m about 3 months in and it’s depressing to see that half your Google analytics hits are coming from your own house lol. I’ve never been so psyched about my career as I am about this, so I’ll keep at it. But it’s great hearing your tips and ideas! I jusy wanted to know what are the source of your income? If you have already published blog post on it then please let me know that. This is superb. Is this totally from affiliates or contain income from advertising too? Glad to read your story. Thanks a lot for sharing. Hi Rosemarie! Just curious – what gave you your first big boost? You blogged for four months and had over a hundred dollars coming in Month 5. Any tips? Makes me want to work harder on my blog and not give up. Need to give it some time and see where I can go with my blog. I love writing. I love talking. I’ve been told a dozen times that I should blog. Do you have to have a specific topic to blog about? I mean, what do I blog about? What an inspiration! And I love the blog update. Looks gorgeous. Stormy recently posted…Making Sense of Affiliate Marketing Review: Is it worth the money?? Woohoo!!! I love seeing women growing and becoming amazing. What is the most memorable moment you had with your blog?